Please complete the following fields to receive bids for Scion Transmissions! Start getting great quotes from ASAP Motor’s network of reputable auto parts brokers right away! All you have to do is complete and submit the form above. Debuting as a Toyota brand in 2003, Scion was intended to attract younger consumers. In fact, the name “Scion” means descendent or heir, and Toyota intended that to suggest both the consumers and the cars themselves. 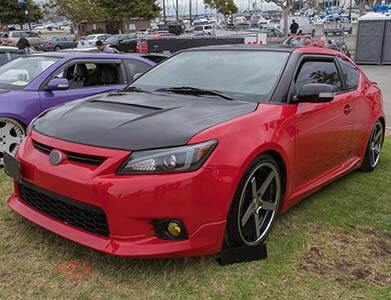 The Scion style was mainly that of sports compact vehicles – high performance, compact and fun to drive. Unfortunately, the economic downturn of 2008 was hard on Scion, and it halted production in 2016, with select models being rebranded as Toyota cars for 2017. Replacing a blown transmission can be a long and complicated process that often requires extensive labor costs. Many transmissions on late model vehicles can last until the car is sent to the scrapyard, however, others may fail after as little as 80,000 miles. For newer vehicles, such as Scions, replacing a failed transmission can be a nightmare; finding the right parts & mechanics at the right price is a hassle that no one wants to go through. Half the challenge of replacing a transmission is finding a reputable repair shop and to exercise caution with bargain specials from independent mechanics. If your vehicle is in need of a used Scion transmission, ASAP Motors offers quality used transmissions at great prices. At ASAP Motors & Transmissions, we can help you find both new and used Scion transmissions for sale from our vast network of parts suppliers around the country. Fill out our parts request form to get started. Whether you need a continuously variable transmission (CVT) for your Scion iQ or a six-speed, automatic transmission for your Scion iA, ASAP Motors is prepared to help you find the perfect solution. Scion appealed to younger buyers with features like fuel economy, customizable interior and exterior features and a boxy appearance. Although the brand is no longer made in its own right, consumers appreciate certain things about Scion cars. Among the perks are a stylish appearance, dual-zone climate control and intelligent keyless entry. Scion cars come with automatic, manual and CVT transmissions. Q: How much does a used Scion transmission cost? A: While the exact price of a used Scion transmission depends on the model and year of the car, most customers pay between $250 and $1,000 for used Scion transmissions. A: A few things will indicate that your transmission needs help. If it seems to slip in and out of gears for no reason, shifting from one gear to another is difficult, fluid is leaking, acceleration is delayed or non-existant or you hear a thudding/whining sound, something may be wrong. We strongly encourage you to ask lots of questions about mileage, included parts and performance when you talk with one of our used transmission sellers. Q: Will my used Scion transmission come with a warranty? A: ASAP Motors doesn’t sell used Scion transmissions directly. Because of this, we can’t guarantee anything about the parts themselves. However, we work with reputable sellers, and many of them offer warranties on used transmissions. First produced in 2013, the Scion FR-S is now integrated into the Toyota brand as the Toyota 86. A sports car with rear-wheel drive, the vehicle is a collaboration between Toyota and Subaru. Like a Mustang, it has a long hood and a short rear deck. The Scion FR-S comes with six-speed transmissions, both automatic and manual. The Scion tC had three generations over the course of its production, which lasted from 2005 to 2016. With confident handling and controlled body motions, the tC also offers a top-quality build and solid record when it comes to reliability. Scion tC transmissions come in varying speeds, and as both manual and automatic. The Scion xB was produced from 2003 to 2015. This compact car is a five-door, boxed-shaped hatchback, and thought by many to be both fun and practical. For its size, the Scion xB has a relatively roomy interior. This car comes with a four-speed automatic or a five-speed manual transmission.